MarketingSherpa reports that 60% of marketers have fewer than 10 landing pages on their website. But the more landing pages you have, the more opportunities you have to generate leads. So what gives? Well, before you generate leads, before you create a landing page, before you even craft your call-to-action, you need something to offer your leads. You know, something worth redeeming in exchange for their contact information. The problem is, creating content takes time, which might be why so few marketers are utilizing landing pages to their fullest extent. 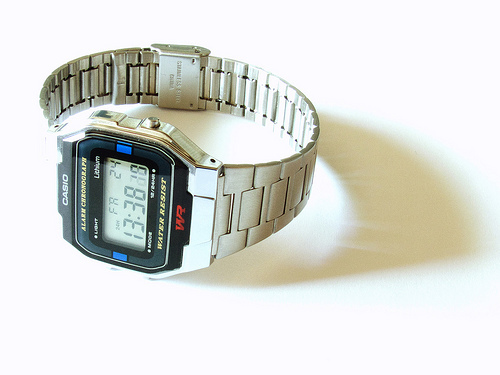 So what's a time-crunched marketer to do? The time for excuses is over, because there are ways to create valuable marketing offer content quickly; it just takes a little out-of-the box thinking. Use these shortcuts to create new offer content, quickly build a new landing page (following these landing page best practices, of course), and start generating more qualified leads for your business! If you're a dedicated inbound marketer, you're probably blogging on a regular basis and have built up a great arsenal of short-form content. And while each new blog post you publish continues to work for you in search engines, eventually they get buried with all the new content you publish. A blog bundle -- a compilation of your best blog posts around a given topic -- is a great way to resurface your best blog content and simultaneously create a new lead-gen offer. Select a theme around which to structure the blog bundle, preferably around a topic that aligns with leads that convert at a high rate. HubSpot, for example, might not (depending on our analytics, of course) want to choose "inbound marketing" as a topic for a blog bundle; not only is it far too broad to be helpful, but perhaps leads that download content about inbound marketing as a general concept don't close at a very high rate. But let's say leads that find HubSpot via search terms related to SEO and download content about SEO convert at an extremely high rate -- that'd be an excellent topic to select for a blog bundle offer! If you use tags on your blog to categorize content, simply search the tags to pull up all of your content related to the topic you select. Alternatively, you can perform a site search by typing site:www.insertblogURL.com "insert search term" into Google to resurface the content. Choose only your best blog content, and try to select a mix of blog posts that cover all angles of your subject. It sounds sacrilegious, but there are inbound marketers out there that would rather kick a puppy than create a piece of content. That puts them in quite a pickle when tasked with creating offer content. But research and data -- especially when it's original -- is a content goldmine that makes for a fantastic offer with very little writing required. Do you perform your own research about your industry that you could share with leads? Do your partners or affiliates? Alternatively, do you stay up-to-date on third-party research that would interest your audience, like analyst reports? Combine all of this interesting research and data into a lead gen offer (just make sure you have the permission to first). For an example of offer content centered around data, check out our 100 Awesome Marketing Stats, Charts, and Graphs, or our annual State of Inbound Marketing in 2012 Report. So you just gave an awesome presentation to your boss, colleagues, clients, or even at a speaking gig. Don't let those slides go to waste. Turn your .ppt into an offer for those who couldn't attend the live presentation, or who would benefit from consuming the content in your presentation. All you have to do is edit your slides slightly to be applicable to a wider audience! For example, your presentation may have proprietary internal data, or perhaps you customized it with your client's logo -- audit your presentation for these details so the content appeals to a general audience. Then go through each slide and ask yourself whether the content of the slide is self explanatory. If you made heavy use of the "Notes" section or explained many concepts verbally, edit the slides to include that extra information that those who didn't hear your presentation live would need to get value from the slides. 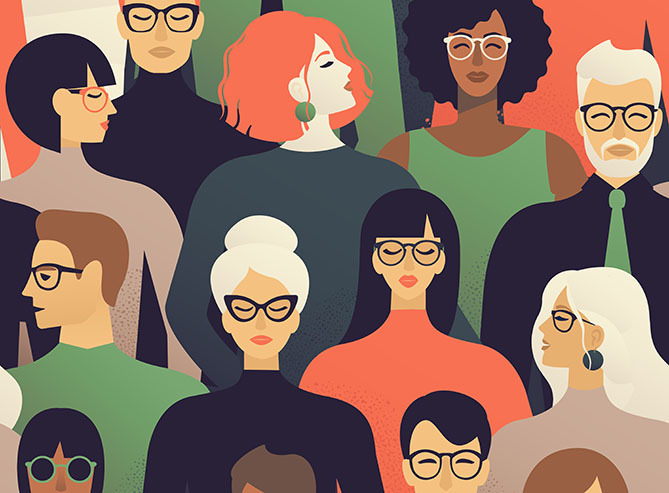 Instead of starting from scratch, why not make the offer content you already have more targeted by better aligning it with your buyer personas? This will not only help you generate new leads, but also drive more reconversions in your lead nurturing -- in fact, Aberdeen Group found a 10% improvement in conversion rates for more personalized lead nurturing emails. Identify the best offer content you have, ideally one in each stage of the sales cycle -- awareness, evaluation, and purchase. You'll be able to identify which offer content is best by visiting your marketing analytics, and selecting those with the best conversion rates. Content from the awareness stage should have a high visitor-to-lead conversion rate; content from the evaluation stage should have a high rate of reconversion; and content from the purchase stage should have a high lead-to-customer conversion rate. Once you've identified the best offers, you can simply update the language and layout to cater to each persona's interests and needs. For example, you might change an offer targeted at a C-suite executive to be shorter, use a more professional tone, and provide less tactical and more strategic advice. On the other hand, the same offer targeted at a mid-level manager might go into more detail, use less industry jargon, and focus on the nitty gritty tactics of your solution. 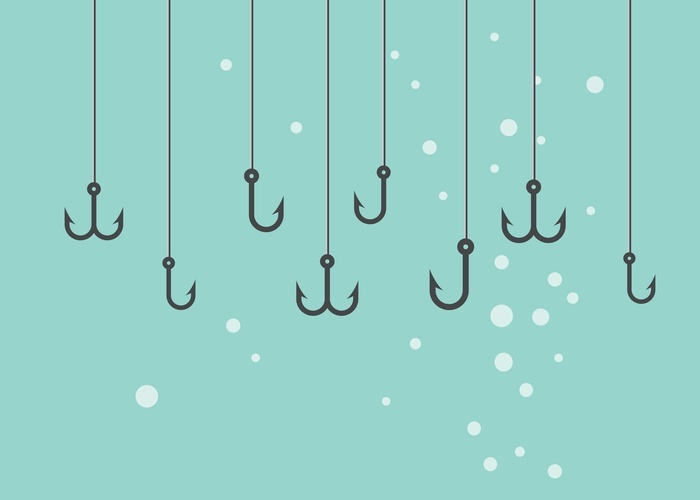 You can learn more about how to adjust the content of your existing offers in our blog post that breaks down how to tailor lead nurturing content to different buyer personas. Just as you can update existing content to be better targeted, your old offers should be updated and relaunched, positioned as a more current piece of content. Even your most evergreen content will likely need to be polished up as data and statistics become out of date and new advancements are made in your industry that would be useful to add to the content. At HubSpot, for example, we make a regular practice of updating ebooks. 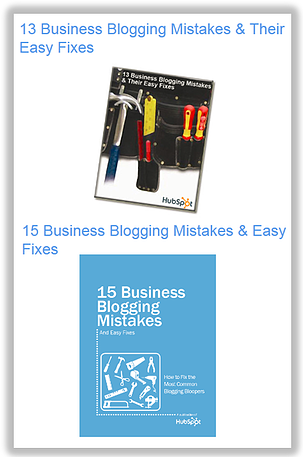 Take our ebook, 15 Business Blogging Mistakes & Easy Fixes. There weren't originally 15 mistakes in that ebook; there were only 13. But over time, it became clear the content could be more comprehensive, so we added in two more problems and solutions. Then, we gave the graphics a much needed facelift (optional), and relaunched the offer by writing new blog posts about blogging (how meta) and using the ebook in our lead nurturing emails. Valuable content comes in forms other than the written word, so here's another idea for those inbound marketers who don't fancy writing. Record an interview, either on video or, if you're camera shy, just audio. HubSpot did this on, ironically, the subject of whether content should live behind a form in HubSpot Debate: Should You Put Your Content Behind Forms? In the video, CMO Mike Volpe and Marketer-in-Residence David Meerman Scott discuss whether it's better for content to be form-free; the discussion lasted about a half an hour, but yours certainly doesn't have to. Simply take 10 or 15 minutes to tackle an interesting topic with a co-worker or industry expert, record the discussion, and create a landing page that summarizes the points that will be covered in the recording! Can't find a chunk of time long enough to devote to ebook writing? Or is the prospect of doing a deep dive into one topic too overwhelming? Take the FAQ approach to your next piece of long-form content. The FAQ approach is a common one I take when writing blog posts -- after speaking with co-workers in departments like Sales, Support, and Consulting, I aggregate questions that leads and customers commonly ask and note them for future blog topics. You can do this for an ebook, too! Ask employees who are on the front lines with leads and customers every day to jot down common questions they receive and send them your way so you can progressively write your ebook; alternatively, ask them to write down their answers to the questions, leveraging the power of the team to create your next piece of offer content. Soon, you'll have "[Your Company]'s Answers to [Your Industry]'s Burning Questions." Okay, maybe I'll leave the title brainstorming to you. Many marketers get hung up on length when creating offer content, but length is never an indicator of quality or usefulness. In fact, it's important to create content in different formats, since not everyone consumes content in the same way. So take your how-to, action-oriented content, and turn it into a downloadable checklist. 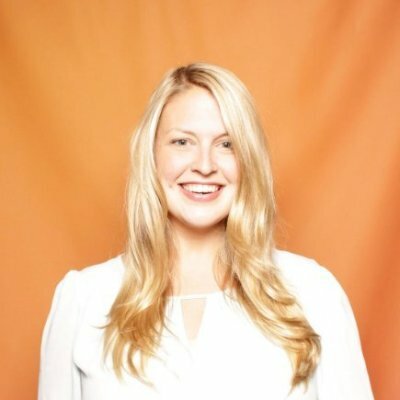 Let's take HubSpot's blog post, "9 Questions you MUST Ask Before Hiring a Freelance Blogger," for example. The post goes into lots of detail about why it's important to ask each question and how each interviewee's answer should be structured. But once a reader understands these concepts, they really just need a reminder of what those 9 questions are. After all, they're not going to remember all 9 questions every time they go into an interview. Repurposing this content in a checklist format with a call-to-action that says, "Download Your Business Blogger Interview Guide" is a perfect way to repurpose this how-to content in a way that's quick for you, and helpful, bookmarkable content for your reader. Just as checklists help your leads perform recurring tasks with more ease, there may be templates you can create for your leads in Excel, Word, Photoshop, etc. that would help them do something easier or better. For example, a tax accountant might prepare a spreadsheet with formulas that helps calculate common deductions. Or maybe an event coordinator could create templates of room layouts for the city's most popular event spaces. 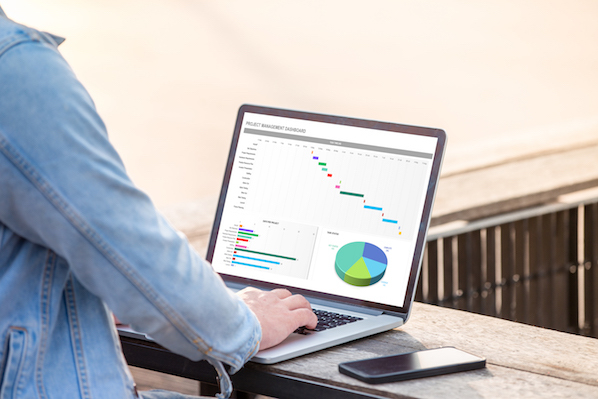 HubSpot's CMO Mike Volpe created a template for marketers to complete their leads waterfall graph, which can be found in our blog post that explains it in more detail. Ask yourself what problems your leads and customers encounter, and whether there are templates you can quickly create and offer for download to make that job easier. You may not have all the answers, but perhaps you have trusted colleagues, industry contacts, or even followers and fans on your social media accounts who do. Select a controversial topic or difficult problem many in your industry face, and ask your network for their take on the issue. Then bundle their responses and advice into one piece of content -- it can be visual like our 54 Pearls of Marketing Wisdom, or if you're not comfortable with graphic design, written and nicely formatted like a whitepaper or ebook. Next time you host a live presentation or webinar, be sure to record it so you can leverage the offer well after the live audience disperses. This is some seriously low-hanging fruit content that should be turned into a lead generating offer. We record all of our public presentations so they can be used as offers at a later date. Remember, not everyone can attend these sessions live, but it doesn't mean they're not interested in the content. And if your webinar didn't go as well live as it did during rehearsal, no worries. You can always set aside an hour to re-record the presentation that you turn into the offer -- you know, without the live audience and technical difficulties. If you're short on time, why not divide up the responsibility of creating offer content with someone in your industry who is looking to get exposure to your audience? For example, our ebook, How to Generate Leads Using LinkedIn was co-written by HubSpot's Anum Hussain and Jamie Turner, founder of 60-Second Marketer. This approach works well for other content formats, too, particularly webinars. Partner up to host a webinar with someone in your industry whose audience you'd like exposure to. You can use the recording to generate leads on your own site, and include a call-to-action at the end of the webinar to encourage action from the new audience to whom you're speaking. If you can't find the time or inclination to create offer content, you can always outsource content creation. You can build all the calls-to-action and landing pages in the world, but without valuable content to make redemption worthwhile, your lead generation will quickly dry up. Leverage these shortcuts for creating lead generation content, or if time is really your most precious resource, get in touch with a qualified freelance writer to keep your content creation going. What tricks and shortcuts do you use to create valuable offer content in a time crunch?